Many times a cigar maker will make a personal blend for his private collection. 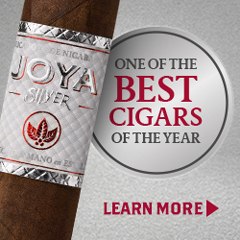 This has been seen with Drew Estate’s Steve Saka with Liga Privada as well as Tatuaje’s Pete Johnson with the Black Label. It is also the case for Gran Habano’s George Rico with the STK Zulu Zulu Ecuadorian Connecticut cigar. Originally created for Rico’s private collection, Rico decided to take the cigar and use it to promote awareness to an organization called Invisible Children. 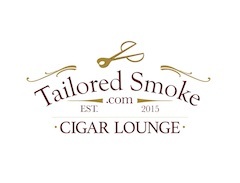 This is another great example of the cigar industry stepping up to help others. In this case, a portion of the proceeds from the boxes sold will be donated directly to Invisible Children. The Gran Habano STK Zulu Zulu Ecuadorian Connecticut was one of two limited edition cigars released by Gran Habano to promote the cause. These are intended to be one-time production releases From a cigar purist standpoint, while the STK Zulu Zulu Ecuadorian Connecticut is a little milder than I prefer, it did provide some very unique flavors. From the Gran Habano web-site: “Invisible Children is an organization that ‘uses film, creativity and social action to end the use of child soldiers in Joseph Kony’s rebel war and restore LRA-affected communities in central Africa to peace and prosperity.‘” The images on the cigar box and cigar wrapper showing a child with a gun is meant to promote awareness to the cause. The STK Zulu Zulu Ecuadorian Connecticut is also called the STK Zulu Zulu Blue – because it is packaged in a blue box. There is also a sibling cigar called the STK Zulu Zulu Habano -or called the STK Zulu Zulu Red (for a red box). Each of the boxes feature an image made by a personal friend of Rico’s known as “The Kid”. In this assessment we will focus on the STK Zulu Zulu Ecuadorian Connecticut and see how it performs. 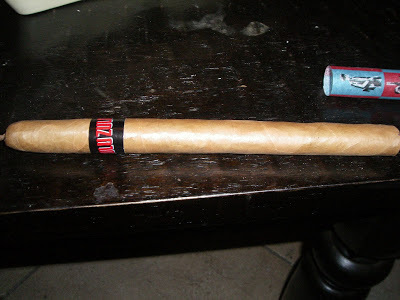 The blend features an Ecuadorian Connecticut wrapper over Nicaraguan binder and filler. 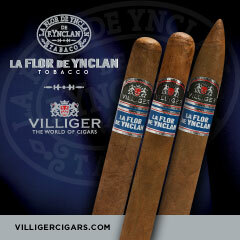 A single vitola was made – a 7 1/2 x 40 lancero. 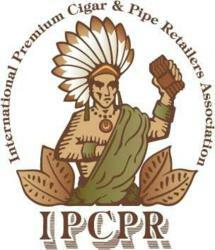 There have been only 2,000 boxes that were produced to select Gran Habano authorized retailers. The Ecuadorian Connecticut wrapper of this cigar is the true definition of a silky wrapper It is one of the nicest Ecuadorian Connecticut wrappers I have ever seen. This wrapper is not toothy and really doesn’t show any veins. The wrapper itself has a couple of bumps, but for the most part it is smooth to the touch. There is a pig-tail on the cap. 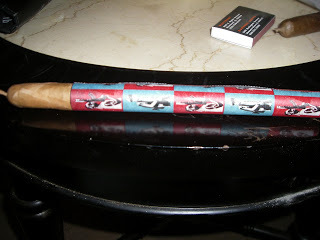 The STK Zulu Zulu Ecuadorian Connecticut is wrapped in a red and turquoise wrapper with a wallpaper of an image made by Rico’s artist “The Kid”. The image features a child holding a gun (once again to create awareness). The wrapper covers about 3/4 of the cigar. Underneath the wrapper there is a traditional cigar band. On a black background the band says “Zulu Zulu” in large red font (with a little turquoise embelshment). With the STK Zulu Zulu Ecuadorian Connecticut, I opted to place a straight cut into the cap instead of pulling the pig-tail off. This is something I do with just about every cigar that has a pig-tail. When I commenced with the pre-light draw, I detected notes of cream and wood. For the most part, it is the type of dry draw I come to expect from a cigar with an Ecuadorian Connecticut wrapper. Once I fired up my STK Zulu Zulu Ecuadorian Connecticut, things would soon change. The start to the Gran Habano STK Zulu Zulu Ecuadorian Connecticut treated me to some light cream and light cedar notes. It was around the five percent point where an interesting component to the flavor profile surfaced – herbal notes. While herbal notes are nothing new to being a cigar flavor, I think this is the first Ecuadorian Connecticut wrapper cigar that I have gotten this flavor. The herbal notes were subtle at first, and then got a little more body. By about the 20 percent point, the herbal notes become the primary flavor. As the STK Zulu Zulu Ecuadorian Connecticut progressed through the first third, the cream notes at times crept toward forefront with the herbal notes – and then moved back into toward the background. There really wasn’t a time the cream notes took total control. 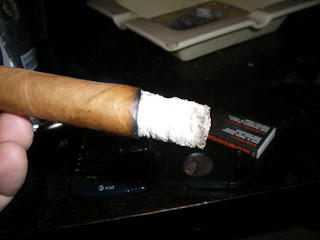 By the midway point of the cigar experience, I noticed the emergence of pepper and berry notes into the flavor profile. 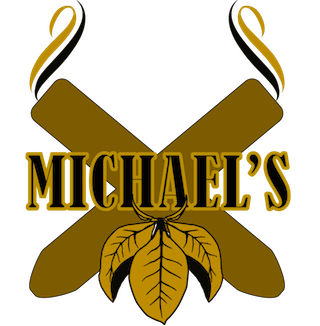 By the halfway point the flavor profile would be have primary notes of herbal flavor; secondary notes of pepper and berry; and tertiary notes of cream. In the final third of this cigar, the cream and berry notes dissipated while the herb and pepper flavors were joined by some classic wood notes. These types of flavors don’t make for a very smooth finish, but it was not harsh either. The resulting nub was very soft, but cool in temperature. 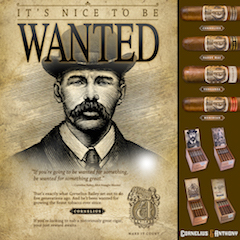 The Gran Habano STK Zulu Zulu Ecuadorian Connecticut scored very high with the construction attributes of burn and draw. The burn was razor sharp throughout the whole smoking experience. The resulting ash was white and tight from start to finish. The burn rate and burn temperature were also ideal throughout the smoke. 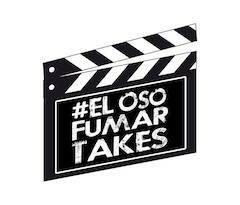 As for the draw, this was a very good for a lancero – making for a very enjoyable smoke. The STK Zulu Zulu Ecuadorian Connecticut is extremely mild cigar in terms of strength. You aren’t going to get a nicotine buzz from this. 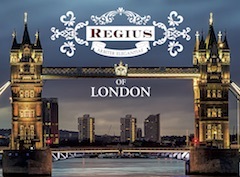 As for the depth of the flavors, the flavors start out subtle – a classic mild-bodied cigar. 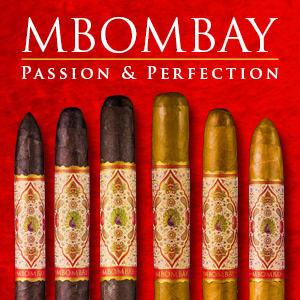 As the cigar moves into the second half, the body deepens just enough to move this cigar into the mild to medium range. 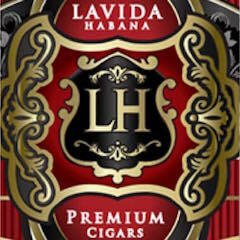 The balance of the mild strength with mild to medium bodied notes creates a pretty smooth experience throughout the smoke. While I will admit, mild strength and mild-bodied cigars are not a regular part of my cigar rotation, this one happens to be a very good one. It delivers some extremely unique flavors, has the right amount of complexity, and just scores well overall. Another point is I think that this particular blend is best suited for a small ring gauge like a lancero. 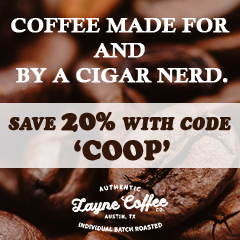 This is a very good cigar for a novice cigar enthusiast to try something different – and perhaps get introduced to smoking a lancero. 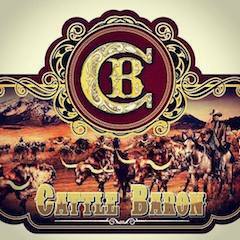 Experienced cigar enthusiasts who are not adverse to going milder in terms of strength and body will probably appreciate this, but full strength/body fans will probably not have enough cigar here. Overall I would smoke this again – and probably position this for myself as a morning smoke. Source: The cigar for this assessment was purchased at The Humidor in Westmont, Illinois.